Announcing the launch of the Coursera Data Science Academy! We’re excited to announce the launch of the Coursera Data Science Academy! This guide helps you discover the data science courses on Coursera that fit your educational and career goals. You can also learn about the available jobs for people with data science skills and get advice from experts in the field and other data science learners. What can you do with the Data Science Academy? 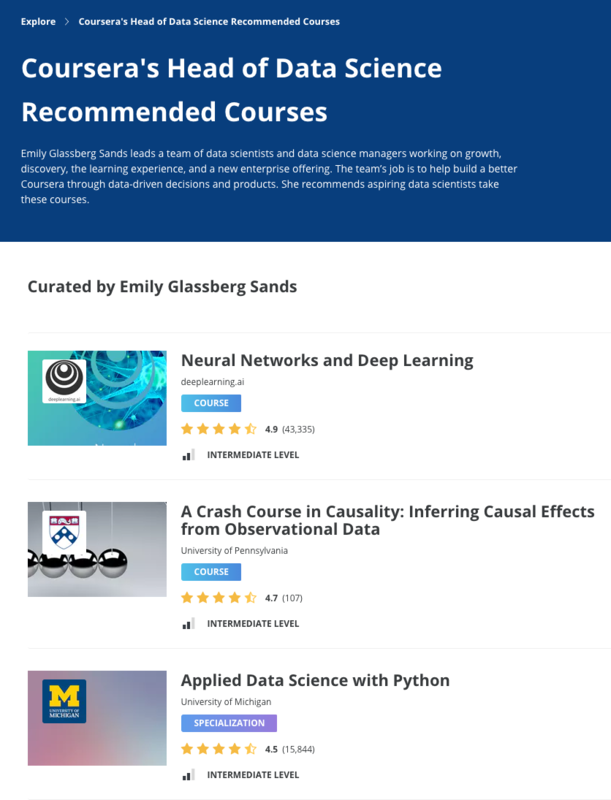 See courses recommended by Coursera data scientists. 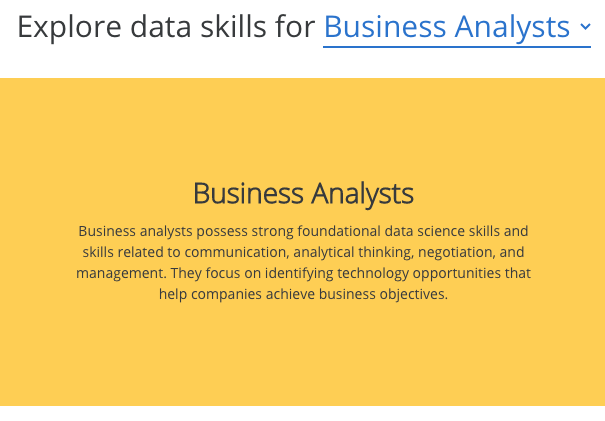 Find out which data skills are useful in various jobs. 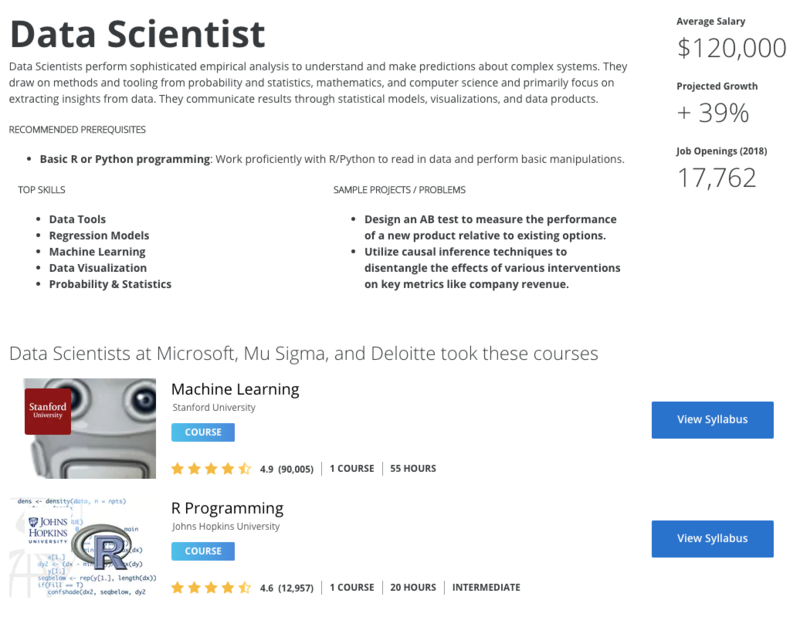 Check out data science courses that are popular with people holding those jobs. Learn what's possible in a specific data science career. If you're not sure where to start, take a quick data science career quiz. And much more! 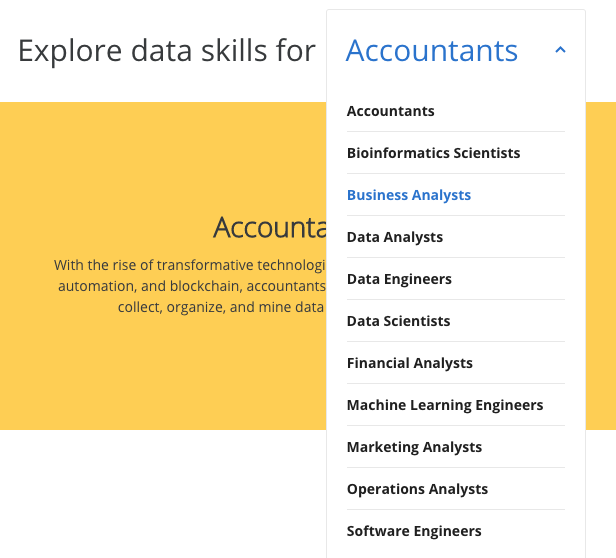 Check out the new Data Science Academy and let us know what you think. Iam very happy to read you and thanks alot for your help withe this offert ifind it great after read it and consulted it to see abit what happen withe this programe provide by coursera ihold you to thanks much coursera team ihave now an idea ijust passed quize the outcome of it is selected as Data Engineer Algoritmic Toolbox isent my forme for financial aide iwill begin in 15 days after approuve it iam really excited for it . That's great to hear, @Bahamas2020! Best of luck with your next course! Nice! Every thing is at one place so easy to explore. Aa and I'm not familiar with the subject only by testing the analysis of tedious things, with a very positive opinion on this shake that I am persuaded to see such steps in other countries as well.